– If the shoe fits … Police in Humboldt, Saskatchewan, investigating a truck theft, found a shoe print from a DC brand shoe. Nearby, an RV owner reported a missing travel trailer. Later, another RV vanished from a dealership — and the thief left a DC shoe print. Next day, a truck in a ditch turned out to be piloted by the DC shoe man. Darcy Blayne Pahl will be spending a year in jail for these and other theft charges. 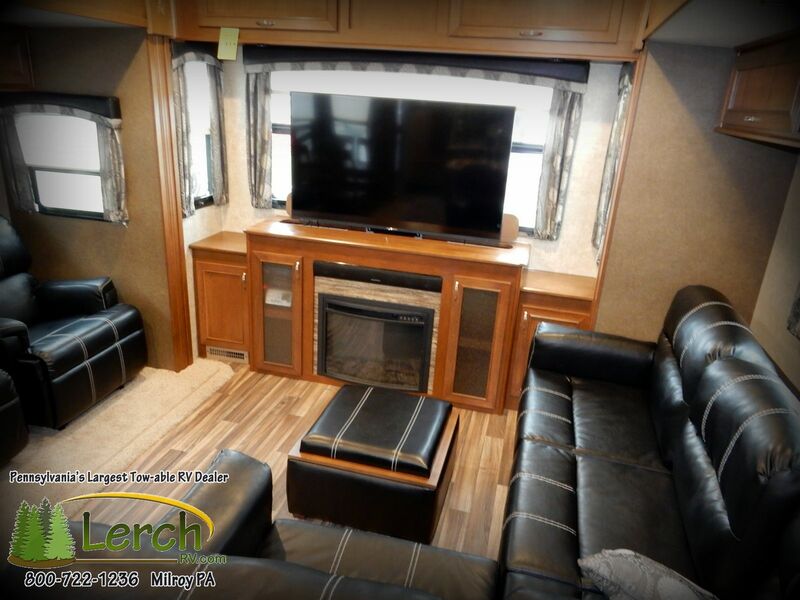 – Brits can “rent” what’s billed as the largest motor-coach in all the land – a U.S. built Newell Coach, formerly owned by Formula 1 race car drivers, for just a tad over $13,000 a night. Included in the fee is a chef and a team of waiters. For an upgrade, you can hire a limo, a helicopter for rides and, of course, drivers and pilots. And no worries, the coach is delivered to your choice of locations — and there it stays. – Paradise Valley, Ariz., police said a motor home driver led them on a chase then to a bizarre traffic stop. After exceeding 70-mile-per-hour speeds, the man pulled over but refused to exit the rig, calling 9-1-1 operators repeatedly and telling them the stop was straight out of Nazi Germany. Police finally “convinced” the man, with the help of pepper spray, to come out. They found several ounces of marijuana, a “white-brown powdery substance in containers,” and a loaded Glock handgun inside. 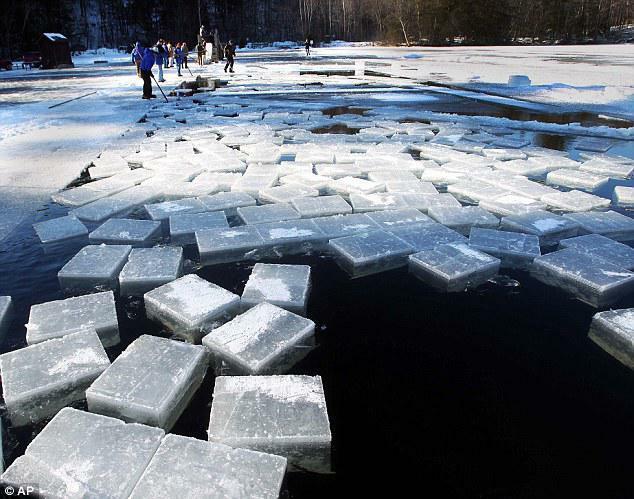 – The annual collection of chunks of ice from a New Hampshire lake was able to start nearly a month earlier than previous years thanks to the recent cold snap. Crews armed with saws and picks collected the blocks on Thursday for a Holderness campsite, which uses the ice as a natural freezer.Using a specially adapted circular saw, the lake is carved into chunks before the crew use ice picks to haul the blocks into trucks.The giant ice cubes are then driven to the campground, where they are stored in special cabins that prevent them from melting.Campers at Rockywold-Deephaven Camps will be able to use the blocks to help chill their ice boxes and keep supplies cool during their vacations later this year. Lower Township, presented a $10,000 check to Joanne Carrocino, FACHE, president and CEO of Cape Regional Medical Center, which represents the third payment toward a $50,000 pledge, according to Shore News Today. The Holly Shores donation benefits the Thomas & Claire Brodesser, Jr., Cancer Center Capital Campaign. Shore News Today reports, the pledge is made possible by various fundraising initiatives that are held at Holly Shores Campground throughout the camping season. – The RV industry hasn’t been pinched by the economy, but nature took a crack at it. Forest River reported a two-day shutdown due to weather at their Class C plant in Elkhart, Ind. — the first time in at least a decade. Snow and intense cold were held accountable. 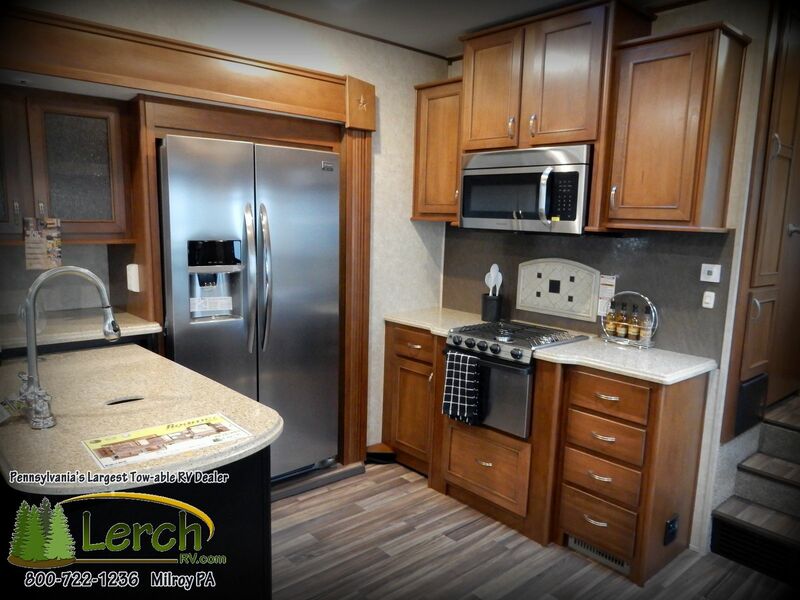 – Milroy, PA – Lerch RV is Pennsylvania’s newest Palomino RV dealership. Their newest offerings will include the Puma, Puma Unleashed, Canyon Cat, SolAire, SolAire hybrid-expandables, SolAire ultra lites, and Palomini single axle light weight campers. 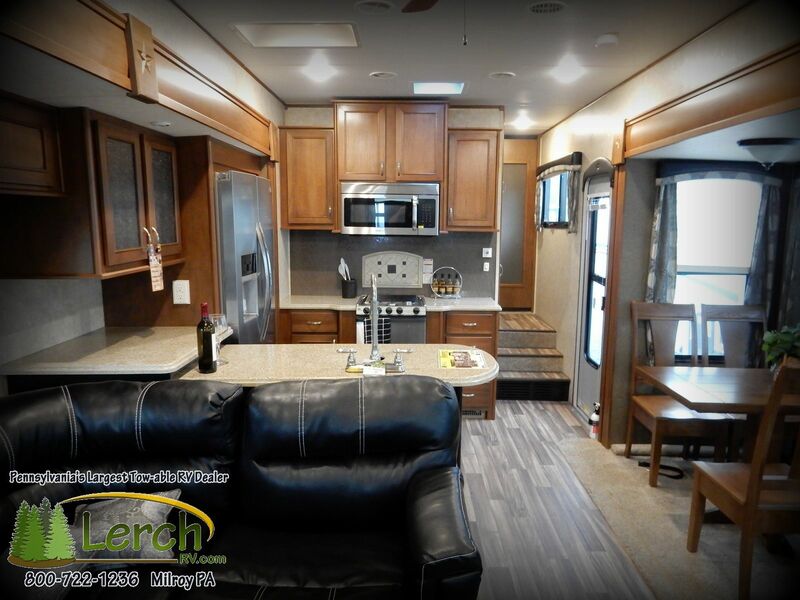 Soon they will be offering these great RVs at the lowest prices in the state along with their current inventory from Keystone RV and Open Range RV Company. – Rolling out — the 2014 Ram 1500 Eco-Diesel pickup truck. A 3.0-liter engine said to yank a rated 9,200 pounds towing capacity and stated fuel economy of 27 miles per gallon on the freeway, and 20 around town — presumably solo. Chrysler says 1,000 of the new rigs will be in dealerships by next month. HGTV’s RV 2013, filmed in September 2012, at America’s Largest RV Show in Hershey, PA. Is set to debut on January 1st at 6pm (EST and PST). The program, hosted by Brandon Johnson, leads three families on the shopping trip of a lifetime as they search for their perfect RV. 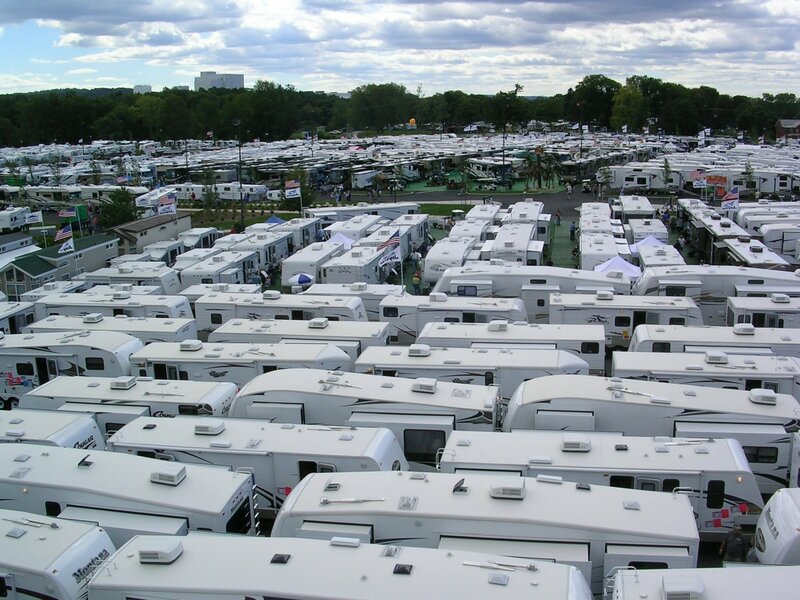 The program, which airs on New Years’ Day, features the manufacturers and vendors which exhibited at America’s Largest RV Show in September. 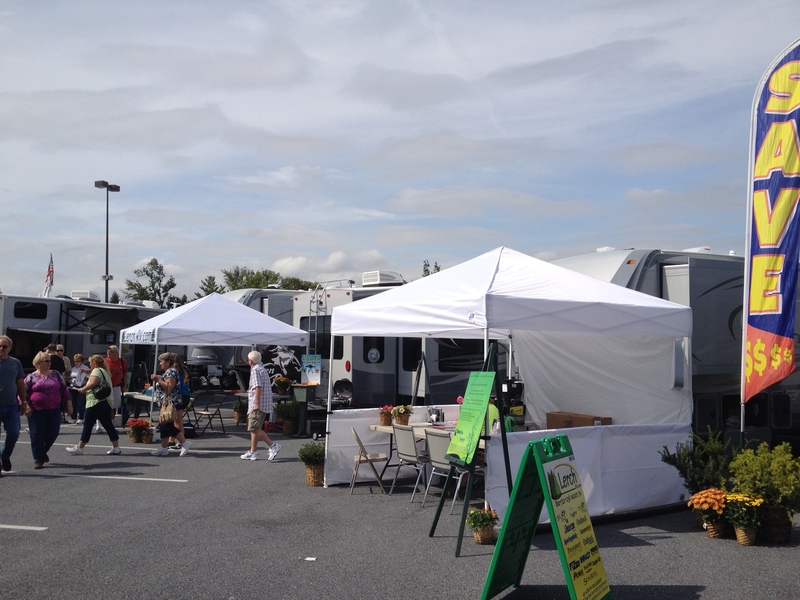 Lerch RV‘s Open Range display was filmed once again this past year. We are looking forward to the final cut as well to see if the Open Range 413RLL made the show. Lerch RV was recently recognized as the #1 Sales Volume Dealer in the Mid-Atlantic and East Coast Regions by Open Range RV. And the #2 Sales Volume dealer nationwide. Here at the dealership, we are truly happy with being honored as such. Being the largest Open Range RV dealer east of the Mississippi River is a great honor. We would like to thank our current Open Range RV customers and owners, who have allowed up to receive such an award. CONGRATULATIONS EVERYONE! LERCH RV IS THE #2 OPEN RANGE DEALERSHIP IN SALES VOLUME FOR 2012! AND ALSO THE #1 DEALER IN THE MID-ATLANTIC / EAST COAST MARKETS. GREAT JOB!